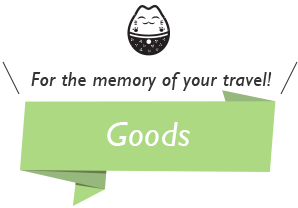 Confectionery and Snacks - Ideal for Souvenirs! 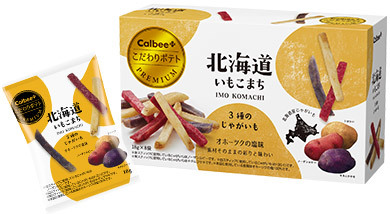 Calbee has been a leader in Japan’s snack food market since its establishment in 1949, and continues to be at the forefront of innovation. 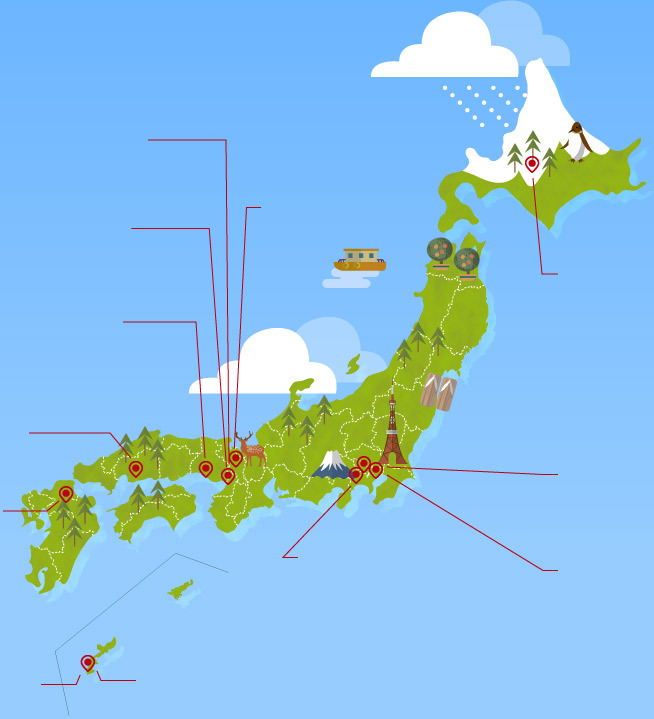 Today, Calbee is in a strong, dominant position in Japan. Looking ahead, the company will tackle the challenge of securing a greater presence on the global stage. With unique products of world-leading quality, unleashing its boundless potential for growth. 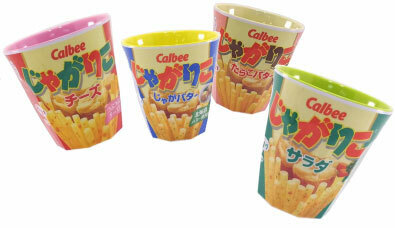 Calbee Plus is a shop of Calbee where you can try tasty and fun products, including freshly fried potato. 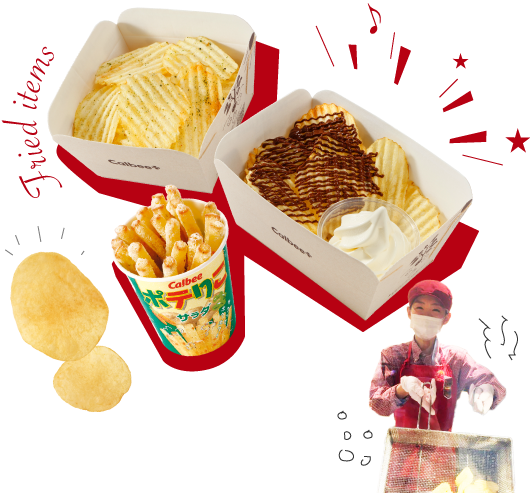 The product line-up also includes other freshly fried food and products you cannot find anywhere else. Now open nation-wide! We freshly prepare our fried snacks, such as potato chips and Poterico (a new snack derived from our popular item-Jagarico), a taste you can only experience in stores. Each shop offers a unique flavor only available in that shop. Selection of product limited to shops. Light in weight with many small packets, these products are great small gifts for your friends! Okhotsk sea salt flavor. 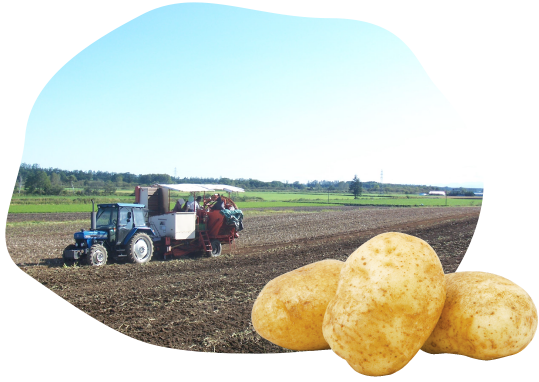 To bring out the natural great taste, we cook whole potatoes with a special technique to create a unique crispy crunch. Savor the genuine taste and color of three kinds of Hokkaido potato varieties (Toyoshiro, Northern Ruby, and Kitamurasaki). One box contains 8 different flavors. Enjoy all 8 varieties of local specialty Jagarico from around Japan in one box!! 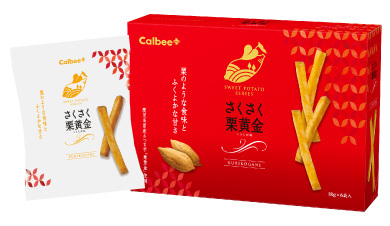 Made with 100% Kurikogane sweet potatoes from Kagoshima Prefecture. Kurikogane means "Chestnut Gold," describing the fluffy texture and sweet flavor of this sweet potato variety. We've cooked them into a crispy snack with a satisfying, scrumptious, and memorable taste. 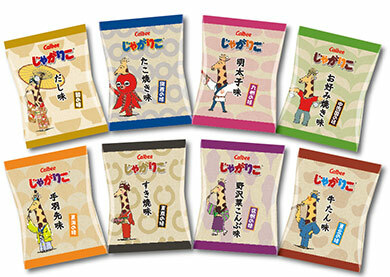 We've given Kappa Ebisen, the shrimp-flavored crispy snacks that are one of Calbee's flagship products, a coating of chocolate that makes a delightful marriage of flavors! A reusable lid for the popular item-Jagarico. It’s useful when you want to take Jagarico with you. Find your favorite design! New Jagarico in melamine cups are now available! The cups are light and durable, so they're good as extra souvenirs! ※ Not offered at all stores. ※ Amount specified in stores. ※ Different design for each shop. 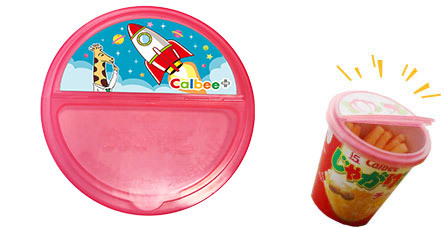 Calbee Plus only sells a selection of specialty products. Please note that the following products are not available at the Calbee Plus. ※Available only at Calbee Plus New Chitose Airport Shop. About a 5 minute walk from JR "Kobe Station" or "Harborland Station"
About a 10 minute walk from "Kosoku Kobe Station"
About a 5 minute walk from "Makishi Station"
About a 5 minute walk from JR "Harajuku Station", or "Meiji-Jingumae Station" on the Tokyo Metro Line. About a 1 minute walk from "Tokorozawa Station" on Seibu Ikebukuro line or Seibu Shinjyuku line.